Molly will be two years old in a little over a month. This is only her second painting ever! (And mama let her use real, grown up watercolors on fine Arches Watercolor paper.) 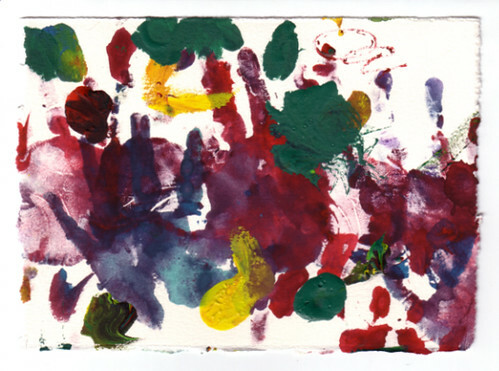 You can own this fine piece of Toddler Abstract Expressionism and support We Can Solve It, a project from the Alliance for Climate Protection. This piece is an easily framed 6 " X 4." Support the Kid's Art Auction for Earth Day 2008 and bid on Molly's art!